Herbert George Wells (1866-1946) was born in Bromley, Kent, England. His father was a professional cricketer and sometime shopkeeper, his mother a former lady's maid. Although "Bertie" left school at fourteen to become a draper's apprentice (a life he detested), he later won a scholarship to the Normal School of Science in London, where he studied with the famous Thomas Henry Huxley. He began to sell articles and short stories regularly in 1893. In 1895, his immediately successful novel The Time Machine rescued him from a life of penury on a schoolteacher's salary. His other "scientific romances"--The Island of Dr. Moreau (1896), The Invisible Man (1897), The War of the Worlds (1898), The First Men in the Moon (1901), and The War in the Air (1908)--won him distinction as the father of science fiction. Henry James saw in Wells the most gifted writer of the age, but Wells, having coined the phrase "the war that will end war" to describe World War I, became increasingly disillusioned and focused his attention on educating mankind with his bestselling Outline of History (1920) and his later utopian works. 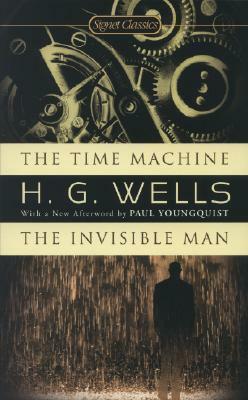 Wells witnessed a world more terrible than any of his imaginative visions, and he bitterly observed: "Reality has taken a leaf from my book and set itself to supercede me." John Calvin Batchelor is the acclaimed author of such imaginative novels as The American Falls, People's Republic of Antarctica, and Gordon Liddy Is My Muse. Paul Youngquist is professor of English and associate chair of Graduate Studies at the University of Colorado Boulder. He's the author of three books: Race, Romanticism, and The Atlantic; Madness and Blake's Myth (1991); and Monstrosities: Bodies and British Romanticism (2003), as well as numerous articles on a variety of subjects.